Non-invasive cosmetic procedures, including Botox, Xeomin and dermal fillers, restore youthful volume to your face. These treatments prevent & turn back the clock by reducing wrinkles and making your skin more supple, youthful and appealing. These products also soften lines and wrinkles. Non-invasive cosmetic treatments offer different results based on the products used, but the goal is the same - to give you younger looking skin and a better appearance. As we get older, we lose most of the bottom fat layer in our skin. This cushiony layer is responsible for the full volume in our cheeks and face. When our skin becomes thinner and drier, wrinkles, laugh lines and crow's feet appear. Collagen, the connective tissue that keeps skin firm and supple, weakens as we age, causing skin to sag and lose its volume. Botox and Xeomin smooth wrinkles, and the dermal fillers Juvederm, Belotero and Radisse are designed to fill in laugh lines, smooth wrinkles and plump up skin & lips. Radisse will boost your skin's collagen-building activity weeks or months after you've received treatment. Dermal fillers, Botox and Xeomin treatments require a short visit to our office. The shots are virtually painless, although there may be some swelling or bruising at the injection site after treatment. They require little or no downtime - unlike plastic surgery. Eliminate wrinkles and facial lines for a smoother complexion with Botox. A neurotoxin made from the bacterium Clostridium botulinum, it's used in small doses to smooth wrinkles and facial lines by temporarily paralyzing muscles. First approved by the FDA in 2002 to treat frown lines, more than 6 million Botox treatments are now performed in the U.S. each year. Although primarily used for cosmetic purposes, Botox is also used to treat excessive sweating. Botox is injected into facial muscles to soften crow's feet and frown lines (also called glabellar lines) between the eyebrows. The treatment takes place at our office and only lasts a few minutes. You'll see a noticeable improvement in four to ten days. A single Botox treatment usually lasts three months. Return to our office every three months for a maintenance treatment. 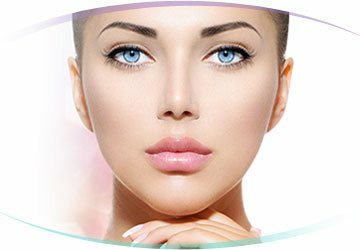 Juvederm Volbella is one of the latest additions to the Juvederm fillers and is available in a smooth, transparent gel that contains the hyaluronic acid and small amounts of local anesthetic lidocaine, both of which have specific functions. The benefits of Juvederm Volbella are to help improve lip fullness and producing a plumper pout while smoothing out the lines around your mouth and the vertical lip lines as well. Essentially it helps give you that full, youthful look you want. There is a multitude of factors which can impact your aging process, weight changes, sun exposure, repetitive facial movements and just the pull of gravity over time all play a role. Juvederm Vollure is a filler designed to fill in moderate or severe lines in the face and brings about a smoother look. It also adds volume to the nasolabial folds, also known as the laugh lines. This filler helps bring about that smooth fresh youthful look you are aiming for. As your body gets older, it tends to slow down in the production of key hormones and elements which the skin needs to keep that youthful appearance. This brings about an increase in wrinkles, lines, age-related acne and pigmentation discoloration. Not to mention sagginess. Microneedling is a procedure whereby the upper layer of skin receives tiny, micro, holes that get down to a depth of 2.5mm. The body reacts to these holes by signaling your skin that it needs to heal and repair itself which kickstarts the bodies natural healing process - releasing the collagen and elastin to your skin which is great for your skin. The anti-aging power of Juvederm XC UP plumps up skin by keeping water at the injection site to add more volume. It smoothes out moderate to severe wrinkles and reduces the appearance of nasolabial folds (the deep lines or "parentheses" that run from the corners of your nose to the corners of your mouth). Juvederm restores volume to cheeks and lips for a vibrant, youthful look. This hyaluronic acid dermal filler usually lasts an average of one year. Juvederm XC contains lidocaine, a local anesthetic for more comfort. Most patients only require one Juvederm treatment to see results. Clinical studies indicate that 88% to 90% of Juvederm patients still showed improvement 24 weeks after treatment. Xeomin approved by FDA in 2010 to reduce moderate to severe frown lines between the eyebrows, facial wrinkles and crow's feet. Made from incobotulinumtoxinA, a Type A botulinum toxin, Xeomin stops muscle activity temporarily at the injection site. Like Botox, it's classified as a skeletal muscle relaxant. Treatment usually takes between 10 and 20 minutes. Xeomin is injected into crow's feet, upper forehead, chin, jowls or the frown-causing muscle (glabella) between your eyebrows. You'll see a noticeable improvement in four to ten days. Xeomin usually last 3 months and requires a maintenance treatment every 90 days. Revive your smile with Belotero Balance. The dermal filler is made from biodegradable hyaluronic acid. We lose hyaluronic acid, a natural substance in the body that hydrates skin, as we age. This causes your skin to sag and develop wrinkles and folds. Belotero replaces hyaluronic acid to give you a smoother, more youthful complexion. During a short office visit, our medical provider injects Belotero in to fine lines or deep creases on any part of your face. You'll feel minimal discomfort, and results may last six months or more. Plump up thin skin and smooth out lines with Radiesse. A dermal filler made from calcium microspheres, it smoothes nasolabial folds, adds volume to cheeks, firms chins and jowls and fills in smile lines. Pre-mixed with Lidocaine for better pain tolerance, Radiesse+ is injected by our medical provider during a brief session lasting less than an hour. There's minimal discomfort, but you may bruise or swell at the injection site. You'll notice a difference immediately and full results appear a week after treatment. Radiesse treatment may last a year to a year and a half. Sclerotherapy is a treatment which involves the use of a special solution that causes the blue and purple spider veins to vanish from being visible. This is a completely safe procedure and is also hypoallergenic. There is less pain with this procedure than most others and brings about visible changes immediately. It also produces life-lasting results you can depend on. Contact MyBotoxLA for more information about which injectable is right for you. We know the choices can be confusing, especially if it's your first time receiving non-invasive aesthetic treatments for wrinkles, nasolabial folds or laugh lines. Call us today or use our online contact form for your personalized treatment plan!